"This is me trying to make something of myself, and surely that's a good thing for them." 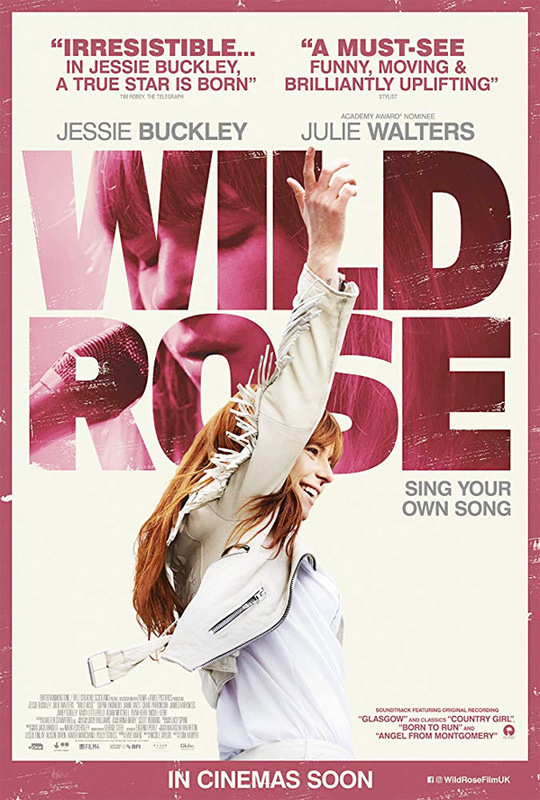 Entertainment One UK has debuted the first official trailer for Wild Rose, yet another film about a woman who wants to become a musician, overcoming challenges on the path to fame. This premiered at the Toronto and London Film Festivals last year, and is stopping by the SXSW Film Festival next. Jessie Buckley (who also stars in the film Beast) plays a young mother from Glasgow, fresh out of prison, who decides to give up everything and move to Nashville to chase her dreams of becoming a country singer. Not without some bumps in the road. An "uplifting story with an original soundtrack about family, dreams and reality, and three chords and the truth." The full cast includes Julie Walters as her mother, plus Sophie Okonedo, Jamie Sives, Gemma McElhinney, James Harkness, and Ashley Shelton. This really does look "toe-tapping" good. Rose-Lynn Harlan (Jessie Buckley) is bursting with raw talent, charisma and cheek. Fresh out of jail and with two young kids, all she wants is to get out of Glasgow and make it as a country singer in Nashville. Her mum Marion (Julie Walters) has had a bellyful of Rose-Lynn’s Nashville nonsense. Forced to take responsibility, Rose-Lynn gets a cleaning job, only to find an unlikely champion in the middle-class lady of the house (Sophie Okonedo). Wild Rose is directed by English filmmaker Tom Harper, director of the films The Scouting Book for Boys, War Book, and The Woman in Black 2: Angel of Death previously, as well as TV projects. The screenplay is by Nicole Taylor. This premiered at the Toronto & London Film Festivals last year, and is playing SXSW next. Neon will release Wild Rose in select US theaters starting May 10th, 2019.